Blend first six ingredients together. Fold in blueberries to taste. Pour into seasoned, preheated waffle maker and cook until golden brown. 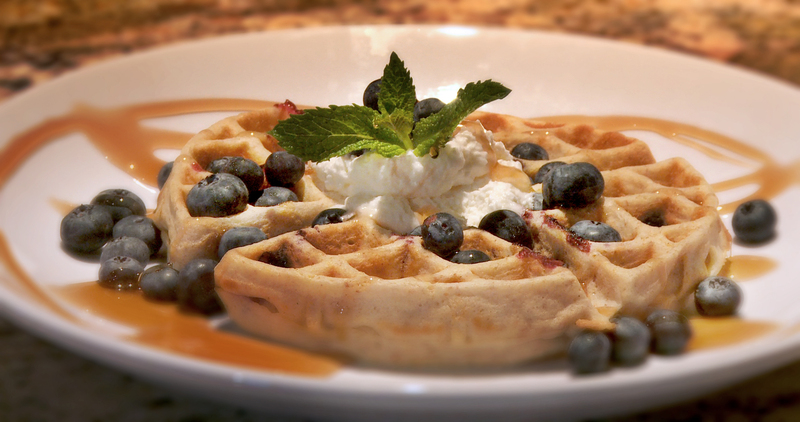 Serve with whipped cream and more fresh blueberries.